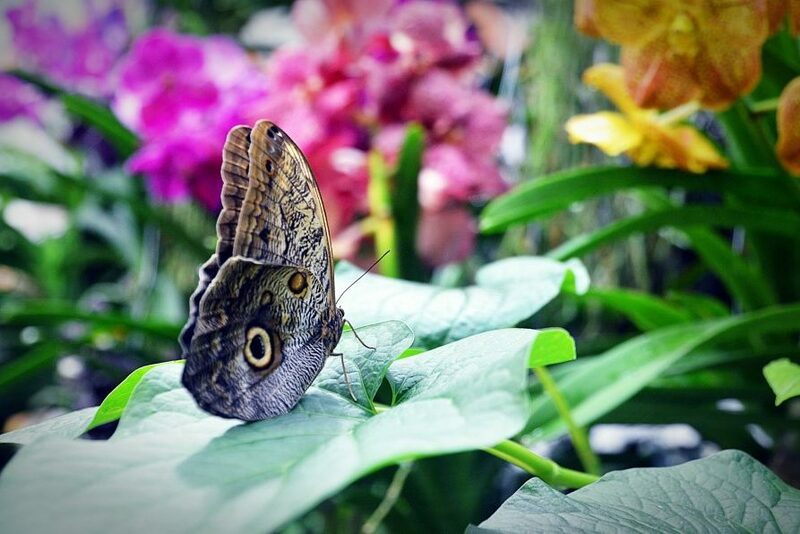 We are happy to invite all participants of the INSECTA 2019 to the Biosphere Potsdam for an evening event in tropical atmosphere in the evening of the first conference day! 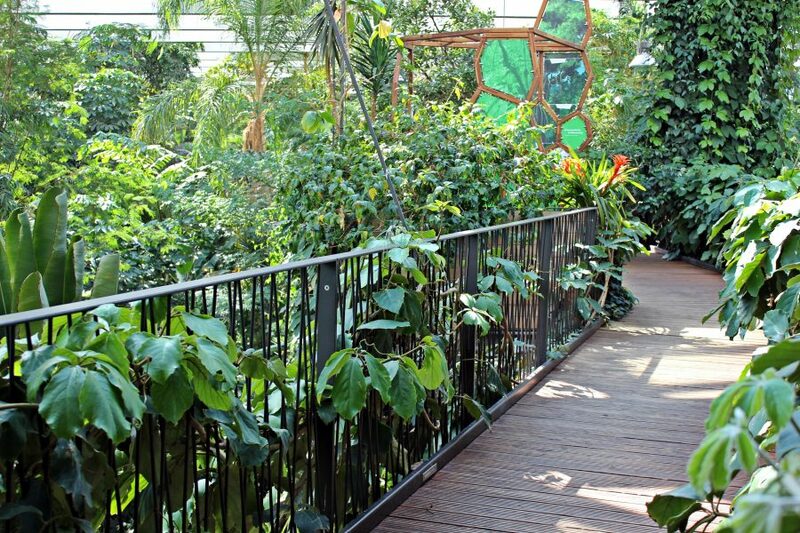 At the beginning a short walk through colorful orchids, climbing plants and bines, cocoa and coffee plants will lead to the event room „Orangerie“, where a little speech will open the evening followed by a mediterran buffet. Of course everybody will get the chance to closer explore the colorful diversity of the tropical forests afterwards. We’re looking forward to a relaxed and inspiring evening! 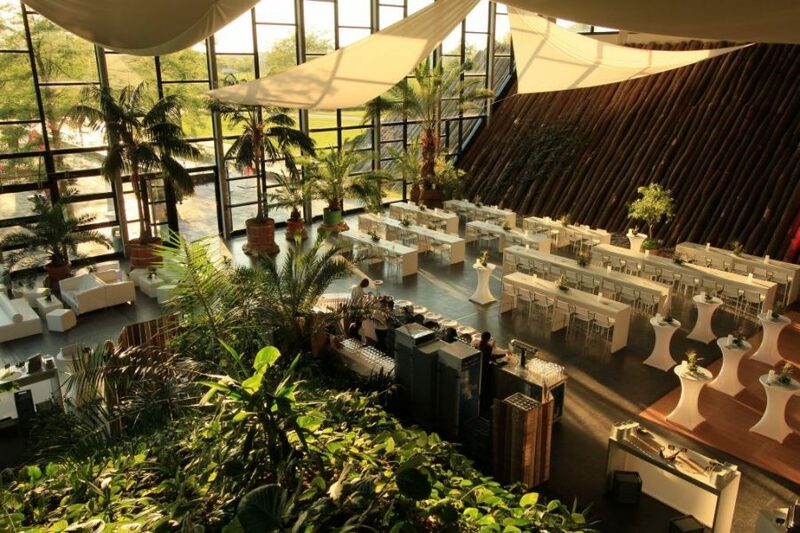 In the center of Potsdam is a place with a holiday-atmosphere 365 days a year – the Biosphere Potsdam. 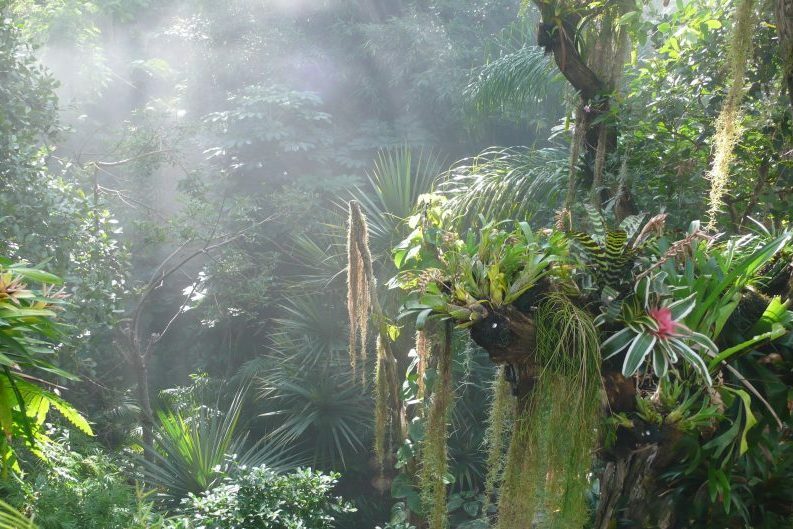 The jungle landscape of the Biosphere with over 20.000 beautiful plants, many exotic animals and an hourly thunderstorm with thunder and lightning takes you to a world far away. Your journey begins at the waterfall and continues on intertwined paths to the butterfly house and to the high-trail up in the treetops. Tram 92 (in the direction of Kirschallee): “Campus Fachhochschule” stop, 5 minutes’ walk along the rails turning right (Georg-Hermann-Allee). Please follow “Biosphäre” or “BUGA-Park” signs within Potsdam. 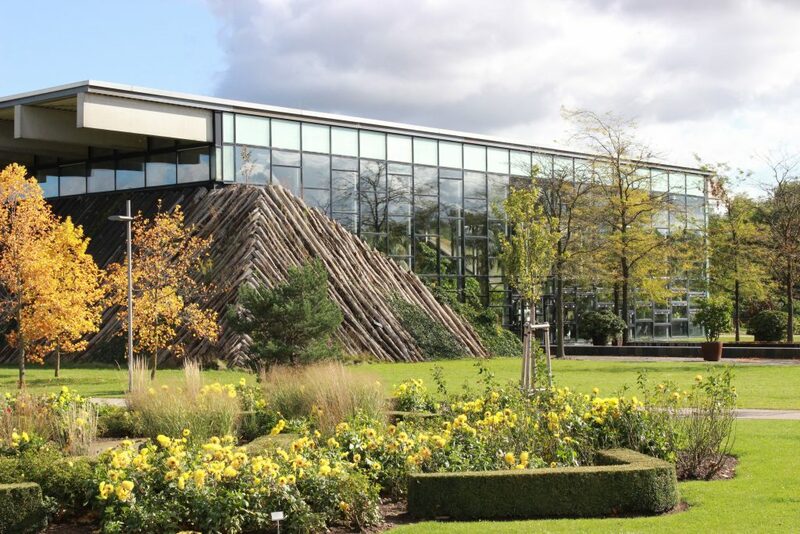 There are 200 free parking spaces and bus parking spaces directly next to the Biosphere Potsdam. Important information for sat-navs: Please enter “Esplanade” as the destination address! We're looking forward to your participation. Insecta 2017 by Leibniz-Institut für Agrartechnik und Bioökonomie e.V. (ATB) AND Pilot Pflanzenöltechnologie Magdeburg e.V. (PPM).